The TIDA-00834 reference design accurately measures voltage and current inputs using simultaneously sampled, 16-bit, ±10 V, bipolar input SAR ADC critical to identify power systems malfunction and power quality related failures accurately and quickly. This results in reduced power systems downtime. The AFE includes signal conditioning based on precision instrumentation or precision amplifier for current measurement upto 125A and opamp based signal conditioning circuit for voltage measurement upto 300V. 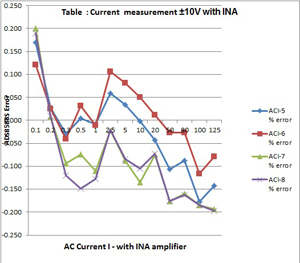 The gain amplifier for voltage and current inputs are used to scale the sensor output to the ADC range. 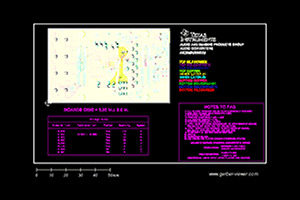 Coherent sampling of the analog input signals is implemented using comparator and FPGA. 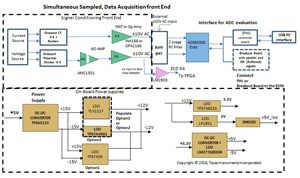 The power supply for data acquisition front end is generated using a +5V input.